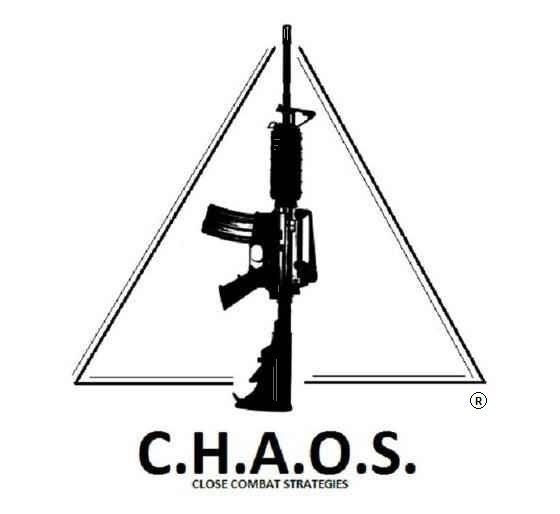 "Protecting the Public by Protecting Ourselves"
The goal of the C.H.A.O.S. Conflict Resolution Center is to teach professionals and civilians to recognize, target and control all areas of conflict. Operators in the Military, Law Enforcement and Contract Security profession can use these tactics to safely asses and control threats from subjects of all shapes, sizes and ages. With proper control tactics, liability, and legal ramification can be limited and avoided by using tactics that give the operator the CHOICE of how much force is needed. If an operator has only one skill set, (such as firearms), that operator is not able to fully address all aspects of personal protection and public, or team, security. If you are going to be in the Paris or Clarksville, TX area, contact me through this website or on facebook. All in-house classes are privately and personally taught, for OpSec purposes, unless prior arrangements are made. Civilian training is private and based on your schedule. Contact Zach Williamson for prices and training schedules. Law enforcement and Military personnel are discounted! Children 15 and younger will receive my ANTI-BULLYING course for free! THE NEW LAW ENFORCEMENT MANTRA! This page is designed to give ideas, complaints and feedback on modern combatives. If you do not agree with the material on this page, please feel free to express that, but keep in mind that your opinion "stinks" just as much as mine....if you get my point, so don't become belligerent with the moderators, insult the people replying, or use any racial slurrs, or "hate" speech. Any "hate" speech, or illegal activity will be immediately reported to the proper authorities. The articles in this website are the sole property of the author, or owner, and are displayed with the proper permission of said owner. No reproduction is authorized.